Vladimir Putin meets Anton Alikhanov, acting governor of Kaliningrad Oblast . The 30-year old Alikhanov has led the Russian region on the Baltic Sea since his appointment last October, and will contest gubernatorial elections as United Russia’s candidate. Photo (c): Alexey Druzhnin/Zuma Press/PA Images. All rights reserved. On 10 September, Russia faces another election. In some places, the vote is for municipal councils, in others for regional ones; two regions are holding by-elections for the State Duma (some single-seat district representatives have resigned for various reasons). Importantly, sixteen regions will be electing their governors. Since spring, political analysts have been predicting that two in particular (Buryatia and the Sverdlovsk Oblast) will see a real struggle with an uncertain outcome. In other regions, it seemed as though victory for the Kremlin’s candidates was far from assured. Such predictions did not appear unfounded. In 2004, direct elections for Russia’s regional governors were abolished. The decision was linked to the war on terror in general and Beslan terrorist attack in particular, although to this day no one has explained exactly how stripping citizens of the right to elect the heads of their own regions helps to fight terrorism. Until 2012, governors were appointed by the president, who proposed candidates for approval by regional parliaments. Because all regional parliaments were controlled by the pro-Kremlin United Russia party, there were no unpleasant surprises. In 2012, following a wave of protests after the obvious falsification of parliamentary election results, direct elections of governors were reinstated, with one important caveat that made it all but impossible for opposition candidates to contest the post. This was the so-called “municipal filter”, which meant candidates had to secure a certain number of signatures from municipal council deputies (between five and ten per cent of the total number of deputies). This threshold can only be cleared by United Russia representatives (i.e. the Kremlin’s handpicked candidates) because the ruling party usually has the majority of seats in municipal councils. In some regions, the Communist Party also has a significant number of municipal deputies. Over five years ago, thousands took to Russia’s streets to protest electoral fraud in what became a push against Putin’s status quo. Protesters in Moscow, 14 December 2011. Photo CC-by-2.0: Misha Maslennikov / Flickr. Some rights reserved. All other representatives of mainstream parties, not to mention the “non-systemic” opposition, can only count on the kindness of powers that be. Thus, Alexey Navalny was able to run in the Moscow mayor’s election in 2013 only as a “gift” from his rival Sergey Sobyanin: on the latter’s orders, municipal deputies from United Russia gave their signatures to Navalny (Moscow and two other cities, St Petersburg and Sevastopol, are constituent subjects of the Russian Federation in their own right, so their mayors are equal to governors). This mechanism works well enough to prevent potentially competitive candidates, who could present a real danger to Kremlin’s proteges, from taking part in elections. The system does not permit any real competition, and the gubernatorial elections are tightly choreographed. Exceptions are far and few between (in 2015, for example, a Communist beat a United Russia candidate for the governor’s post in Irkutsk Oblast). With the rise of former Rosatom head Sergey Kirienko to the presidential administration, some hoped for a more democratic - or at least technocratic - approach to regional governments. To no avail. Photo (с): Alexey Filippov / RIA Novosti. All rights reserved. However, a recent reshuffle in the Kremlin led some to expect the gubernatorial elections in 2017 to be more competitive. Last autumn, Sergey Kirienko assumed the post of first deputy chief of staff to the president, overseeing domestic politics, including the gubernatorial elections. 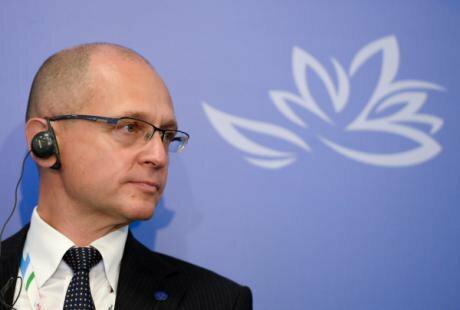 Previously, Kirienko led the state corporation Rosatom and did not appear to give much thought to politics. In the early 2000s, however, he was counted among the liberals: first, he organised his own political movement, New Power, and later became one of the founders, with Anatoly Chubais, Irina Khakamada, and Boris Nemtsov, of the Union of Right Forces alliance. This is why, despite his many years of unquestionable loyalty to Putin, Kirienko was seen as somewhat more democratic than the countless alumni of FSB and other security services who had become the collective face of Russian politics over the last few years. The political in-crowd, tired of repetitive propaganda and ideological bigotry, wanted to see changes. 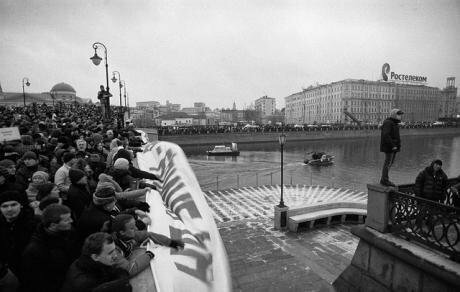 Some put their hope in Kirienko, remembering his closeness to the “first-wave liberals”. All talk was about the “Kirienko thaw”. The first signs of this “thaw” were the release of political prisoner Ildar Dadin as well as several others who had no connection to politics but ended up in prison thanks to the security services’ abuse of power. “The thaw” was also said to be behind a series of governors’ resignations in the winter and spring of 2017. February saw the early and voluntary (or rather, following informal orders from the Kremlin) resignations of the Perm Oblast governor Viktor Basargin, head of the Republic of Karelia Viktor Khudilainen, Ryazan Oblast governor Oleg Kovalev, Vyacheslav Nagovitsyn of Buryatia, and Sergey Mitin of Novgorod. In April, there followed another wave of “voluntary resignations”, as well as a more involuntary one – head of the Republic of Udmurtia Aleksandr Solovyev was removed from his post “having lost the trust” of the president: he now faces criminal charges of corruption. Corruption in Russia is both a crime and a key tool of state control. Anyone connected to government is almost guaranteed to become involved in corruption schemes. Many do not need to have their arms twisted: those who choose the civil service almost openly talk about illegal earnings as an obvious perk of the job. However, their earnings remain illegal, and the federal government can always use corruption charges to topple any regional politician who overestimates their own influence or backs the wrong side in local power struggles. Such was the situation faced by Nikita Belykh, the former governor of the Kirov Oblast, who in 2016 was arrested in Moscow while accepting a bribe and is currently in pre-trial detention. He should not be seen as a victim of political persecution – despite his opposition background, there are no reasons to doubt his loyalty to the Kremlin. After all, Belykh was not elected but appointed governor, at a time when the elections were abolished. Alexander Solovyev, head of the Republic of Udmurtia since 2014, was one of several regional governors to get the chop on Kirienko’s watch – he was toppled in April, and now faces criminal charges of corruption. Photo CC-by-4.0: Kremlin.ru. Some rights reserved. These regional kingpins were replaced with interim heads from among a group usually called the “young technocrats” – newcomers with some experience of the civil service, but without political experience or political ambitions. This was immediately seen as a “Kirienko strategy”, wherein the graduate of a large state-owned corporation favoured professional managers over the senseless politicking of the preceding years (many of the governors who had resigned before their term ended had outdone themselves with bombastic speeches about the West’s perfidious plans and treacherous conspiracies). Crucially, unpopular heads of regions where United Russia polled poorly were also removed. The entire Russian electoral system, from the “municipal filter” to more familiar forms of voting fraud, is set up to give the Kremlin enough leverage to ensure the victory of the “correct” candidate. Opinion polls and popularity with the electorate are less important than the good graces of the presidential administration. But under the watch of Kirienko and his technocrats, it had genuinely seemed that the Kremlin planned to hold relatively competitive elections. In most regions, the political arena had already been purged from any candidates who might present any danger to the ruling authorities. In most, but not in all. In the Republic of Buryatia, the Communist Party of the Russian Federation (CPRF) planned to nominate Vyacheslav Markhaev, a senator from the neighbouring Irkutsk Oblast. Markhaev is a former security services officer who was popular not only in Buryatia but also among in important federal networks. He was to run against the “young technocrat” Alexey Tsydenov, who has governed Buryatia since February. This prospect was so disagreeable to Tsydenov that he declared the Communists’ plan a conspiracy by forces outside the country that wanted to “undermine and destabilise the situation”. As Tsydenov hadn’t built much support among local elites, even a victory in a somewhat fair election appeared unlikely. To top it off, the threat came from neighbouring Irkutsk Oblast, which had seen the Communist Sergey Levchenko defeat a United Russia candidate. The acting head of Mari El, an autonomous republic in the Volga Region, was facing similar issues. Aleksandr Evstifeev replaced the notorious Leonid Markelov who ruled the region for 16 years. Markelov, who “voluntarily” resigned this April, was later arrested, and now sends poetic missives to Putin in order to prove his innocence. The communists had geared up to give the newcomer Evstifeev a run for his money. Evgeny Roizman, the independent mayor of Ekaterinburg, gives a speech in Moscow, February 2017. Photo (c): Maxim Blinov / RIA Novosti. All rights reserved. Sevastopol was seen as another potential battleground – the locals’ excitement about “returning to the home harbour” is receding as the realities of life within the Russian Federation sink in. Dmitry Ovsyannikov, acting governor since June 2016, is United Russia’s candidate in the race, and is not particularly loved by the people of the city. They may instead cast their lot with local entrepreneur Oleg Nikolaev, an ally of Aleksey Chaly (one of the heroes of the so-called “Russian spring” on the Crimean Peninsula who acted as the city’s governor from February to April 2014 and facilitated its annexation by Russia). 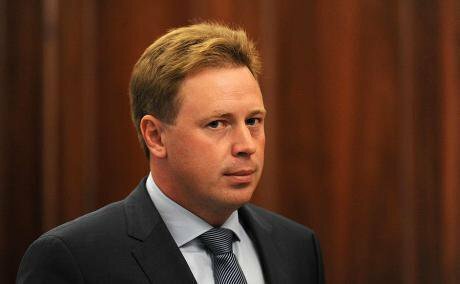 One more technocrat of the Kirienko era, Artur Parfenchikov, faced a rough time in the Republic of Karelia. But the site of the key pre-electoral battle was expected to be Ekaterinburg. Ekaterinburg – a city of almost 1.5 million – is capital of Sverdlovsk Oblast, where current governor and Putin appointee Evgeny Kuyvashev was set to face a challenge from the city’s mayor Evgeny Roizman. While he holds a mostly nominal post, Roizman’s fame precedes his mayoral tenure. Roizman is the founder and public face of the City Without Drugs foundation, whose work made him famous across the country. Some saw him as a noble warrior fighting the greatest evil of the modern world, others as a sadist who destroyed the lives of others with no regard for the law. The way Roizman’s foundation operates is indeed questionable. But Roizman is a politician of national significance and, perhaps the most popular person in his native city. At the very least, he’s a greater character than the dour United Russia candidate Kuyvashev, a stranger to the city and the region. Were Roizman to face Kuyvashev in the election, it would not only present a risk to the Kremlin and its protege, but almost guarantee a catastrophic result. To win against Roizman, the authorities would have had to falsify ballots like never before. In other words, they would have to face a public outcry in one of Russia’s largest cities, and one with a fair share of opposition-minded people. It seems there will be no protests. If back in spring, the Kremlin was planning to allow a show of competition in gubernatorial elections, this strategy has obviously changed. 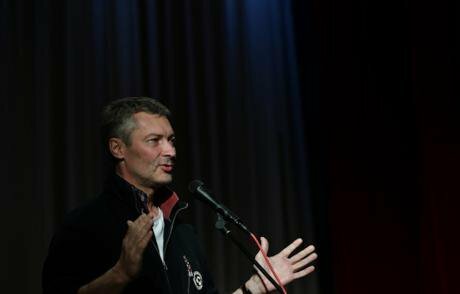 Alexey Tsydenov’s diatribes against the conspiracies of the West were in vain: his main competitor, Markhaev, did not clear the municipal filter. Instead, Tsydenov will face a local entrepreneur nominated by the Communists of Russia (a small spoiler party, not to be confused with the CPRF) and a deputy’s aide from the Liberal Democratic Party (a party that, for all of its leader Vladimir Zhirinovsky’s aggressive rhetoric, is ultimately a business project prepared to accept any kind of compromise). This race will be a game, where the aim is not to win by too much. 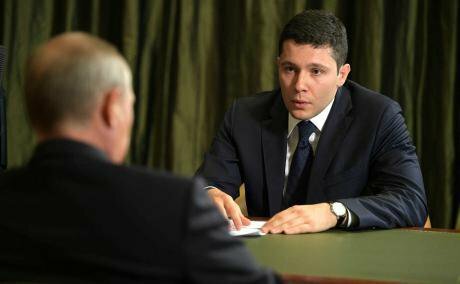 Oleg Nikolaev in Sevastopol was dispatched with a little more finesse – interim mayor Ovsyannikov met with the potential rival and offered him the chairmanship of the Sevastopol Development Corporation. The entrepreneur thought about it and accepted. Funnily enough, he also decided not to run in the election after all. Acting governor of Sevastopol Dmitry Ovsyannikov may be unpopular with the Crimean city’s residents, but he has nothing to fear from this race. Photo CC-by-4.0: Kremlin.ru. Some rights reserved. In Mari El, the communists simply did not nominate a candidate (allegedly the outcome of the federal party committee’s chats with the presidential administration). Evstifeev is now expected to easily beat a few inconspicuous opponents, including Valentina Zlobina of the Pensioners’ Party. In Sverdlovsk Oblast, Evgeny Roizman had planned to represent the Yabloko party at the election. When the national committee of the oppositional, liberal party approved the nomination of the high-profile candidate, the local party rebelled. As a result, Roizman was instead nominated at a party conference in Moscow, violating local laws. Thus, the electoral commission of the Sverdlovsk Oblast had a formal excuse to disqualify Roizman from the very beginning. Not that they needed one: Roizman realised that the municipal filter would work against him, so refused to take part in the election, calling on his supporters to boycott it. 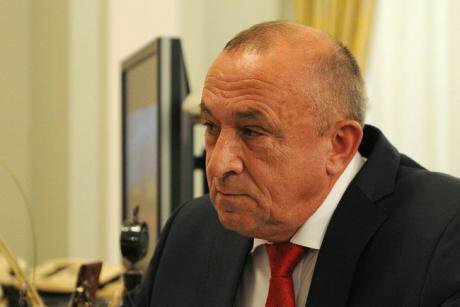 Acting governor Kuyvashev can sleep soundly – his victory is assured. Despite raising hopes for competitive gubernatorial elections, the Kremlin has decided to play it safe. These elections, once again, are just a slightly longer and more expensive form for the authorities to appointing their own, handpicked men. There will be no surprises, and the sixteen regions will produce sixteen easy victories for United Russia. The main reason for this change in strategy is obvious: next March, Russia will go to the polls to (re)elect a president, and the gubernatorial elections are the last major rehearsal before the main event. Governors are becoming the raw materials in this presidential campaign. In July, Vladimir Putin embarked on a tour of the country’s regions, including those that are about to elect their next leaders. He met the governors, chided them for not listening to their constituents, passed along complaints he had received during his annual “Direct Line” call-in show (televised live by all state TV channels, where Putin answers the Russians’ questions and solves their problems). His message for Russians was clear: the only thing standing between out-of-touch bureaucrats wreaking havoc and the people themselves is the president: the people’s sole protector. And of course, no new president could ever take on that burden. In this narrative, regional governors are whipping boys – and a few may be in line for a well-timed arrest and imprisonment. On the other hand, the Kremlin cannot allow its proteges to be defeated, because that would be a defeat for Putin, too – after all, he appointed some of them directly. In current circumstances, the very possibility of a failure for Moscow’s candidate in Sevastopol is intolerable – the city has basically become part of the state’s myth-making. Similarly, the popular and uncontrollable Roizman in Ekaterinburg could not be given an opening. Gubernatorial elections also appear to test the effectiveness of the machinery which secures a victory for the “right candidate” across Russia’s many regions. There can be no other rationale. Triumphal victories over small-scale entrepreneurs or pensioners are in store for both “Kirienko’s young technocrats” and governors who have spent years in their posts. Any hint of intrigue, democracy, “thaw” – all of this has been sacrificed on the altar of Putin’s proverbial stability. Changes are unnecessary and dangerous – this is the main message of yet another Putin presidential campaign. The same message is apparent in the governors’ elections. An anticorruption protest in Moscow. 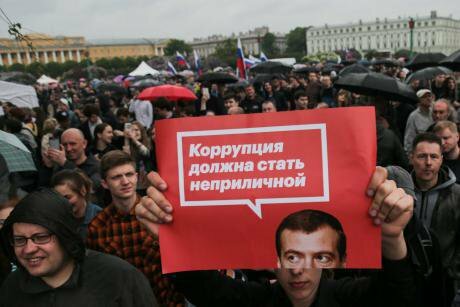 Outraged by the revelations of Alexey Navalny’s Foundation for Fighting Corruption about the wealth of Dmitry Medvedev, thousands of people took to the streets. Photo (c): NurPhoto/SIPA USA/PA Images. All rights reserved. It would be strange to expect a lot of interest in the election of regional governors. Hardly anyone does – sociologists forecast a low turnout. Traditionally, low turnouts have been advantageous to the ruling party’s candidates – even if many ignore the vote, the most disciplined and loyal voters, pensioners, state employees, security service officers, will come to the polls anyway and vote correctly. Raising the turnout carries no risks, given the absence of real political opposition among the candidates. The move could be a response to Alexey Navalny’s activities. Although he has no formal right to participate in the presidential election because of his criminal convictions, Navalny has declared himself to be a candidate and is setting up regional campaign headquarters. Their volunteers and staff are out in force to canvass – not simply for Navalny, but rather against the current government. The opening ceremonies at the headquarters (and there over 70 of these already) attract hundreds of people. Intimidation efforts abound – the headquarters are firebombed, boarded up, and attacked by “activists” hired by the government. Campaign literature is confiscated by the police or simply stolen, while volunteers are detained and occasionally beaten – but all this harassment has only raised the profile and popularity of Navalny’s campaign. Of course, a high turnout and good results for the ruling party’s nominees in the regions is a way for the government to calm its nerves. The Kremlin can remind others, and above all itself, who controls the local situation, who is truly capable of “mobilising the electorate”. In a sense, Navalny, a candidate with no chance of actually participating in the election, has managed to force his agenda on the government. These gubernatorial elections, with their apparently predictable outcome that poses little risk to the Kremlin, are becoming an element in the confrontation between Putin and Navalny in the presidential election. Navalny has nothing to lose – he has no candidates of his own, and there are none worthy of his support. The inevitable and innumerable violations of electoral laws can only give him great fodder for yet another substantive attack on Russia’s ruling elites.